A man arrested on suspicion of murder following a death on a High Street has been released without charge. 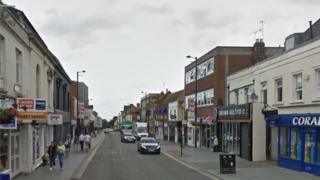 A 43-year-old man died in Brentwood, Essex, on Monday morning after he was found with a facial injury, police said. A 47-year-old man, of no fixed abode, was arrested but police say the death is now being treated as non-suspicious, with no third party involved. A post-mortem examination on Tuesday proved inconclusive. In a statement, Essex Police said: "Further tests will be carried out, however there was found to be no third party involvement in his death." The dead man's family has been informed and a file will be prepared for the coroner, the force said.